Eakmongkol 8 village Jomtien. This is one of the larger houses on the secure estate, set within the City Centre. Located between Jomtien Theprasit Road, and South Pattaya Road, it is very easy to get to any location in the city via all main routes. Jomtien beach is just 5 minutes away, along with any of the hyper markets, and shopping malls such as Tesco-Lotus, Big C, Central Festival, and Royal Garden Plaza. The house has been altered from the standard design to increase the living space, plus all of the fixtures and fittings have been chosen by the owner, so that everything is completely unique from any other house in the village. Classic bathrooms, fitted Euro kitchen, sculpted ceilings with mood lighting, and a large patio to the rear, leading to the private swimming pool. 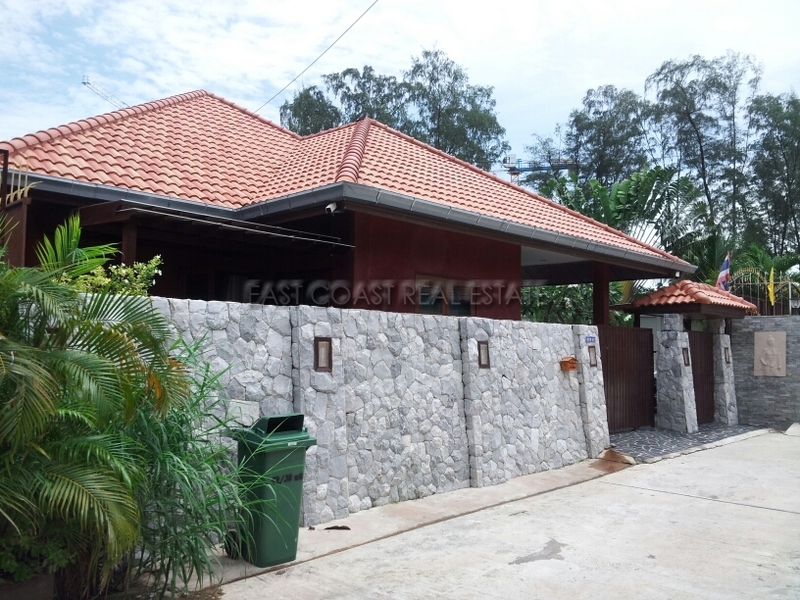 In total there are 4 bedrooms and 3 bathrooms, plus a 1 maid’s room.